Santa and Mrs Santa outfits for Gnobbit. Santa pants, jacket, hat, hair, beard, cloak and boots. Mrs. Santa blouse, hair, cap, apron and glasses. included in Gnomy Gnobbit (on this page). There is an armchair too, so they can have a good rest after Christmas. The sack and presents are from "Christmas Post" on the Props page. for these and the skirt and cloak from Gnomy Gnobbit (below). Gnomy male and female outfits for Gnobbit. and the Gnobbit hair with new morphs. You will need RTEncoder for the hair. The female outfit has blouse, apron and skirt (and the shoes, in case you just want this outfit). Four sets of mat poses each and hair, eye and brow mats. Superlative Mouse outfit for 3DUniverse Toon Mouse. Tshirt, pants, cape and mask. Three sets of mat poses. Pretty Baby Textures for "Cool Baby" for Toon Baby by Esha. Tunic, robe, belt, boots and hat. Use the hat with the "hood down" robe morph. Stylish Jacket for Ichiro 2. Just the combined jacket, vest, shirt, tie, watch chain and tiepin. The pants and shoes are Mixies by Lady Littlefox. with tuskpaste and brush. 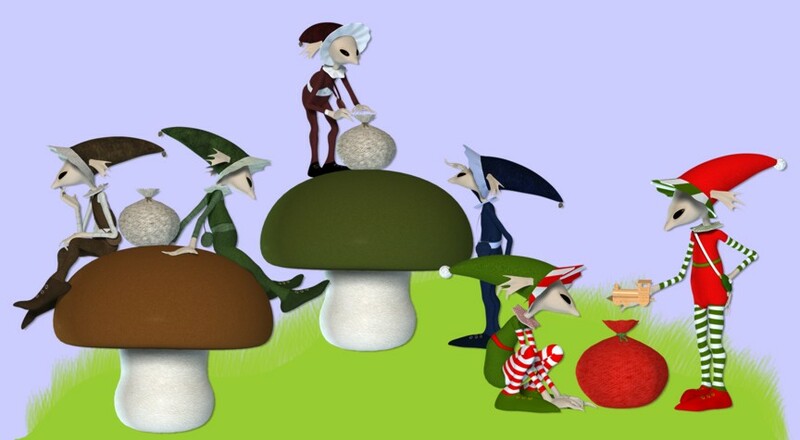 Set 2 is coat, hat, pants, hatstand and umbrella. Mats for Heff are included. 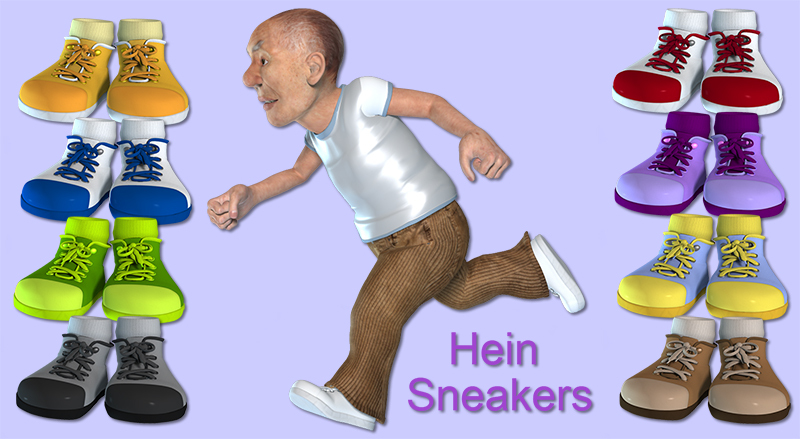 Sneakers for Hein. More "adult" colours added. Witch outfit for Hein. This is the 50s dress remade for Hein. Dress, apron, belt, witch hat and shoes. Cuddly Easter Bunny for Toon Baby. Suit, hood with morphs, shoes, nose and whiskers with morphs. Tights for TB. There are png overlays of these for DS users. Includes a "No Ears" morph for TB's head. Five texture sets and DS mats. Render with displacement for fur. Three white textures to colour and five colours. Karth has made some gorgeous knitted textures for the leggings. A Fairytale Princess top, skirt and sleeves for Natu. 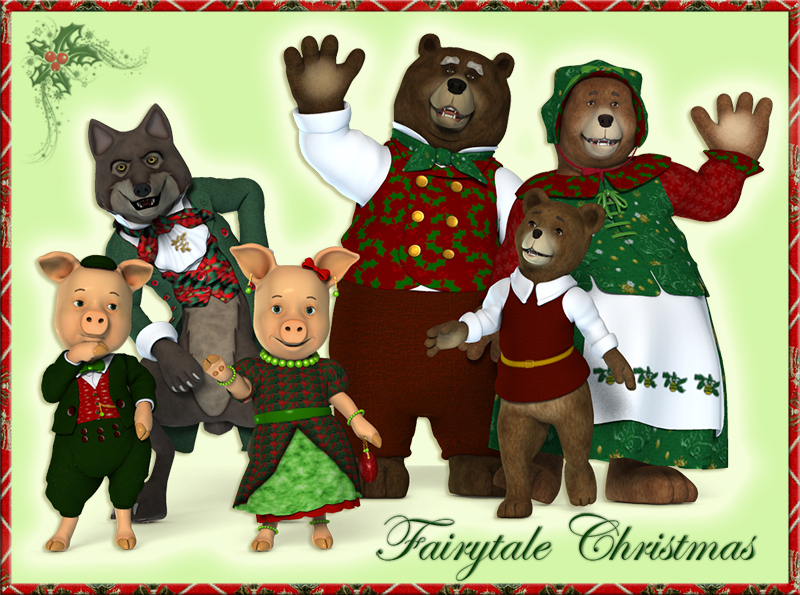 Christmas textures for the Fairytale animals from DAZ. Pantsuit and blouse for Mavka. these have all the MinWee morphs. to put the final touches on her Victorian Outfit. The boots have socks, and a pose to hide them. 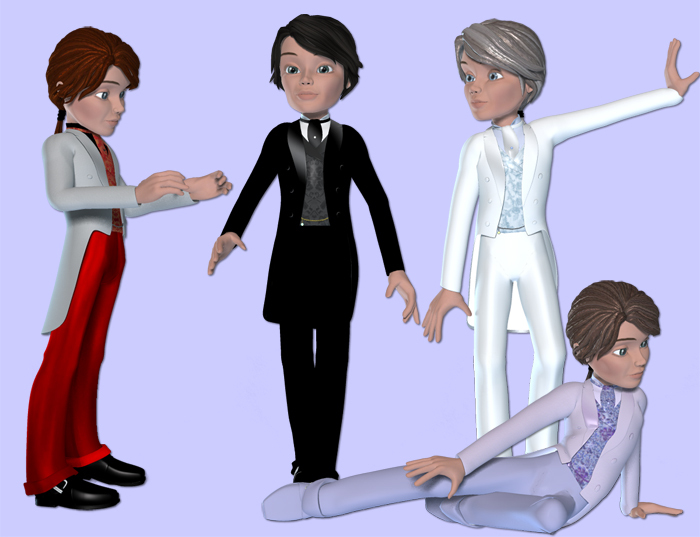 A Victorian outfit as requested for Vila. Dress, separate collar, apron, two hats, bag and parasol. Four sets of textures. It is possible to "sit" the dress with the handles. Bodice, new belt, bustle and bows. Lots of new textures. Also has textures for the new accessories to match Ballgown 1. Belt textures will work with either belt. The beautiful character is Panzy. and crown with a morph to make it more toony. Five sets of textures. and a long cigarette holder. The Extra-High Heels will take all the textures from the High Heels (from KCTC). and nail colours, which show upon rendering. 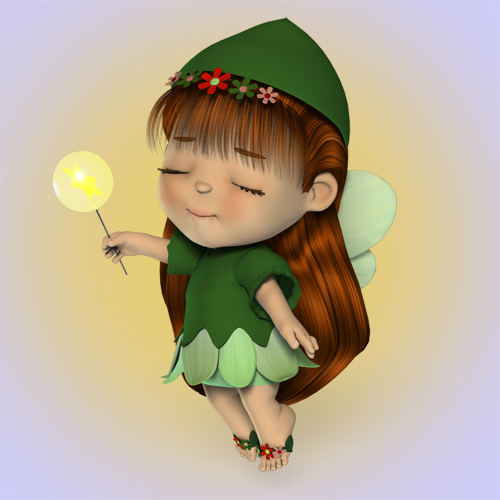 The Faerie outfit refitted to Toon Baby. There are Faerie pants to match. A blouse and skirt for Vila, with six textures for each. The skirt morphs to a ballgown skirt. Use the "fit over pants" morph for the blouse and the "fit under blouse" morph for the skirt. A biker outfit for Vila. including earrings and a stud for human ears. Three sets of textures for all and a few more for the top. Piggy Perfect for The Three Little Pigs. Now Piggy can go to the ball. Lipstick, eyeshadow and nailpolish. Lipstick will only appear when rendered. A Petticoat, Clover and Pearl jewellery and of course, Silk Purses. any of the gems including those on the silk purses and "Ring"
textures change the earrings or tail ring. Needs RTEncoder - free from RTEncoder.com on the Downloads page. 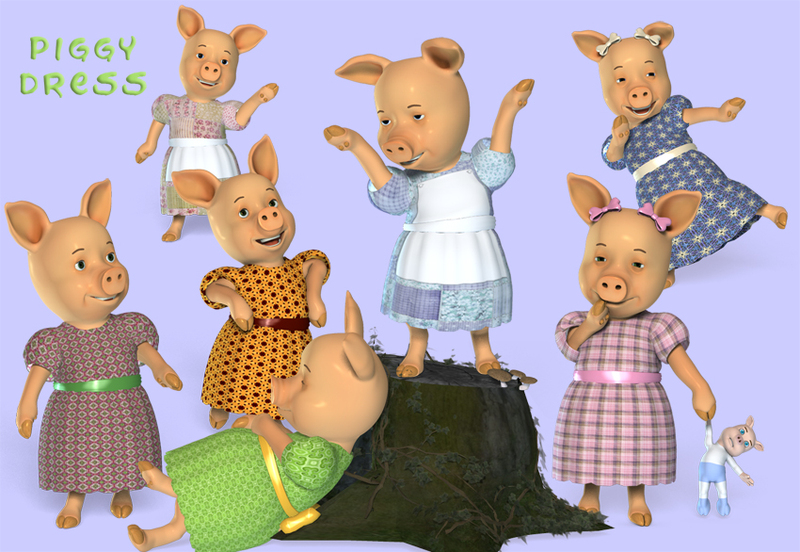 Piggy Dress for the 3 Little Pigs. A request - finally got around to it! A box and morphing spring to be used with Toon Baby, or any figure which will fit in the box. Halloween dressup for Toon Baby. A devil, ghost, witch and black cat. and the Slippers from the Shepherd set by Xantor. Loik elf. 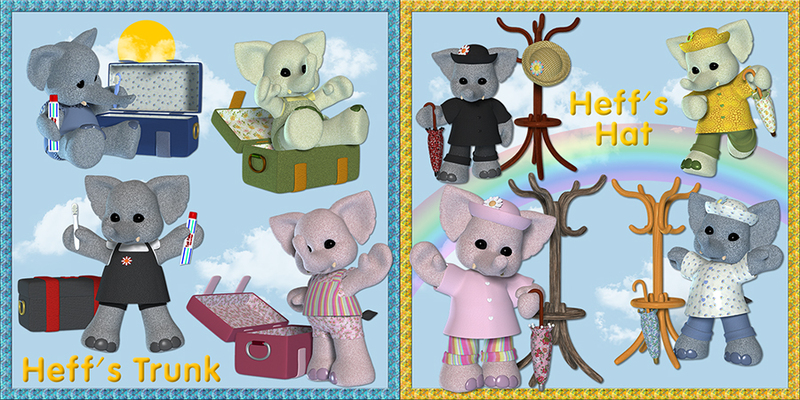 Hat, bag, collar, treasure sack and acorn, bell and bobble trims. Also a Toadstool with three textures. The lovely wooden train is by MysticNights. Requested - the ballet outfit with wings and wand refitted for Loik. Different colours. Can be used on Loki, too. The wings will only fit if Loik and Loki are at 100% AND ZEROED. You can resize Loik and Loki afterwards. The wings need to be parented to Loik or Loki's chest. 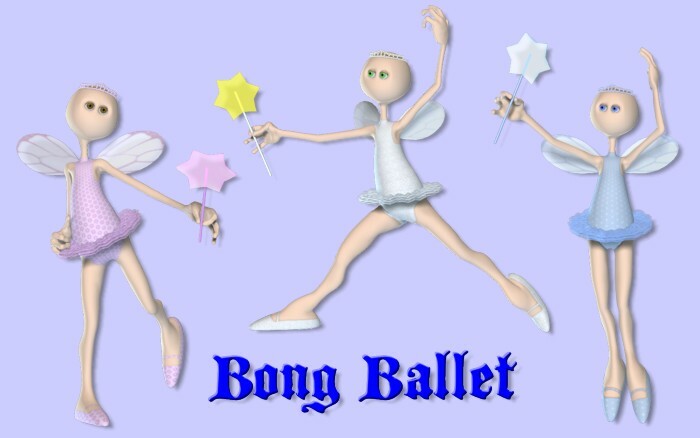 A ballet outfit with wings and wand for Bong. 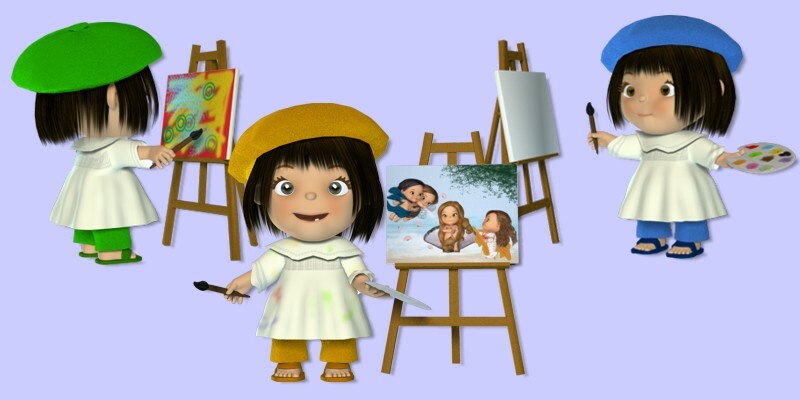 An artist outfit, easel, paintbrush and palette for Toon Baby. Includes a blank canvas and three pictures. All the parts of the outfit are from KCTC Freebies (see the readme for what is needed). 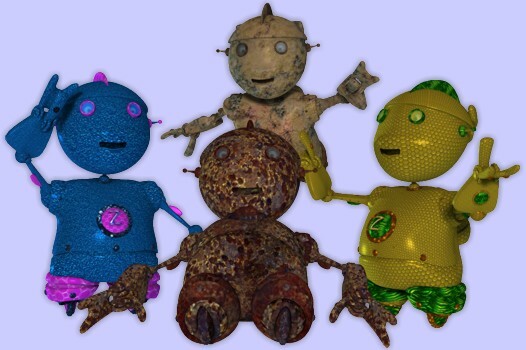 Smart Suit textures for the 3 Little Pigs. This is a LARGE download - lots of textures! Includes a watchchain and bow tie props, for elegant porcine evening wear. Fresh colours for the Bib Overalls for the Ball-Jointed Doll. Pauper for the Fairytale Giant. 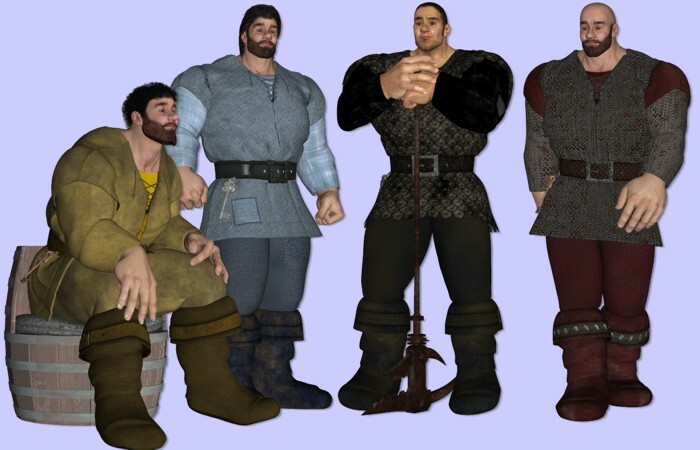 Four texture sets for the Fairytale Giant for The Freak. The weapon is from Gothic Weapons - free at RDNA. Prince for the Fairytale Giant. 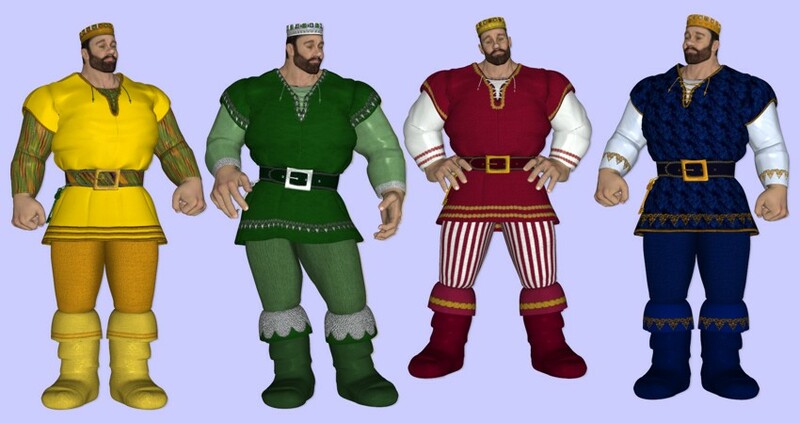 Four texture sets for the Fairytale Giant for The Freak. Also needs the free crown from RDNA. Dressed Up for the Three Bears. 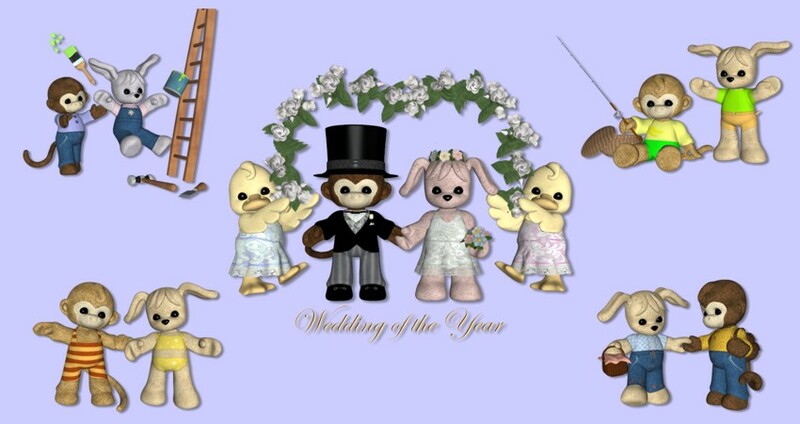 Wedding textures for Cheeky and Daisy Plushies. Includes textures for the Plushie Dress and wedding props. What the well-dressed Big Bad Wolf is wearing. Holiday Elf - Four Christmas sets for Christmas Elf for Pygmy including, for the Elf who has everything - Bling! 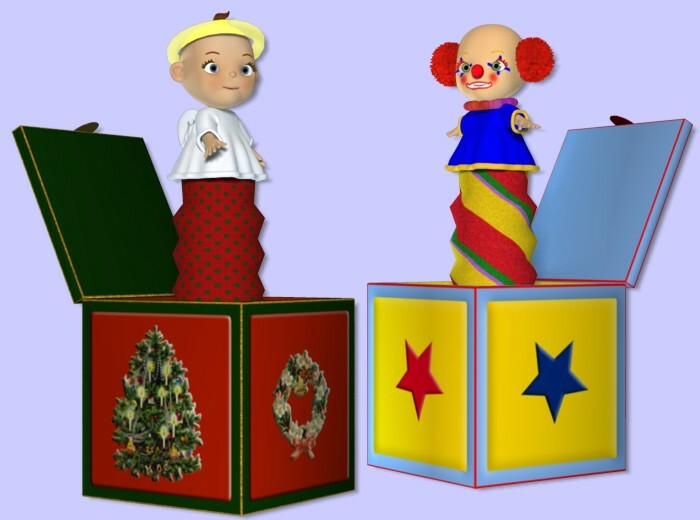 The Christmas Tree is from "Sammy the Elf" for Sadie and is not included. Jolly Elf - four less seasonal texture sets for Christmas Elf for Pygmy. There are also hair, eye, brow and eyelash colours. The hammer is from Christmas Elf. The props are not included.